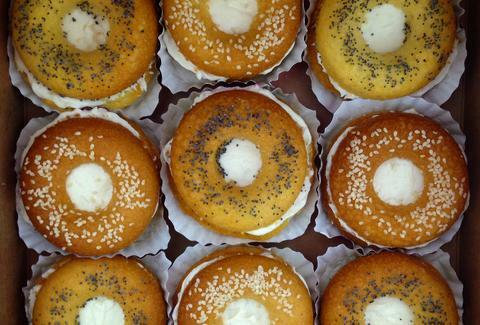 Rejoice: these delicious bagels are actually delicious cupcakes! 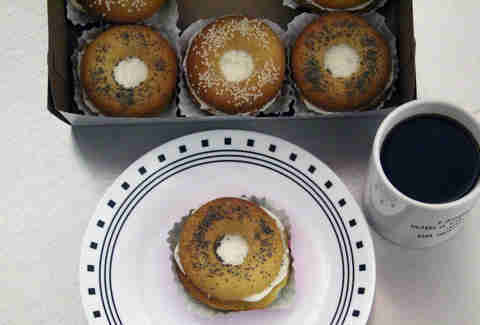 No matter how much you love bagels -- and around here, we love them a lot -- there's a dark truth you must concede: they are not made out of cake & frosting. But no longer must we suffer, because today, the deviant baker behind Reality Bites Cupcakes has righted that horrid culinary wrong. 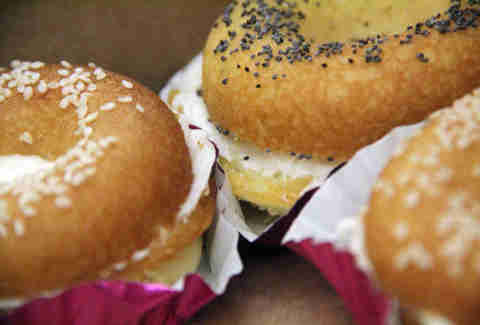 Behold: bagel cupcakes. 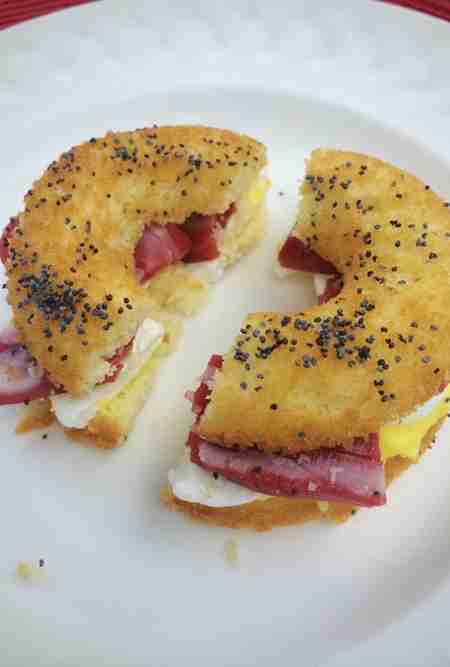 At first glance, these magnificent hybrids seem all-bagel, with a golden-brown surface sprinkled with poppy seeds and bisected by the white schmear. But look closer! See? 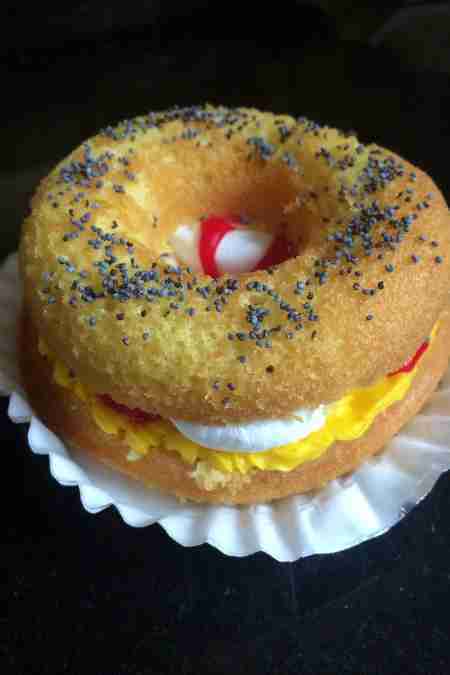 That's not a bagel with cream cheese... it's fluffy cake covered with vanilla frosting. My God. The upstart baker is inventing new cupcake-food doppelgangers by the day (wait 'til you see the Shake Shack cupcakes), and takes custom orders for delivery. Make your crossover junk-food dreams a reality and order up right here. Dave Infante is a senior writer for Thrillist Food & Drink. His girlfriend is furious he didn't get her one of these for her birthday, and every other day. Follow @dinfontay on Twitter, Instagram, and Snapchat.